Avidbots, a Kitchener-based robotics company, today announced the close of a $31.5 million CAD Series B funding round, to help with the global expansion of its autonomous, floor-cleaning robots. The round was led by True Ventures, a Silicon Valley-based VC firm, that previously invested in Avidbots in 2017. The round saw participation from a number of investors, including returning investors Real Ventures, GGV Capital, SOSV, and 500 Startups Canada. A number of new investors jumped on board as well including, Next47, BDC Capital, and KCPL. This round brings Avidbots total venture capital funding to date to $47 million. “With strong worldwide demand for our Neo industrial cleaning robot, Avidbots has been growing at a tremendous pace, and we’re excited to announce the financial support of world-class investors such as True Ventures, Next47, and GGV Capital as we enter into our next phase of expansion,” said Faizan Sheikh, CEO and co-founder of Avidbots. He noted to BetaKit that the Avidbots team has been working really hard to get to this day and is now looking to use the funding to grow that team even more. Sheikh said the company plans to hire more people for engineering, as well as product, sales, and marketing. Avidbots designs and creates autonomous connected robots, its first product is a robotic floor scrubber, dubbed Neo. The startup noted that most floor cleaning robots use manual models retrofitted with software allowing them to follow pre-programmed routes. Neo, however, is different. Avidbots touts Neo as the first-purpose built commercial robotic floor scrubber. The robot uses AI, 3D sensors and cameras, is connected to the cloud, and automatically receives regular software updates helping to optimize performance. Through these processes Neo is continually learning from its environment, allowing it to change route “on the fly” and helping it avoid obstacles. The robot can also adapt to new floor layouts. Neo can be controlled by staff through a touch screen as well as a ‘command centre’ web app, that gives access to real-time and historical data collected by the machine, and also offers video streams. Avidbots products are manufactured in a 40,000-square foot facility in Kitchener, and Neo is already being used in airports, malls, and other facilities around the world. The company told Forbes that it has sold a few hundred of its robots already. They are available in at least a dozen countries, cleaning floors at Paris’ Charles de Gaulle Airport, Toronto’s Eaton Centre, Changi airport in Singapore, and Rochester Institute of Technology. 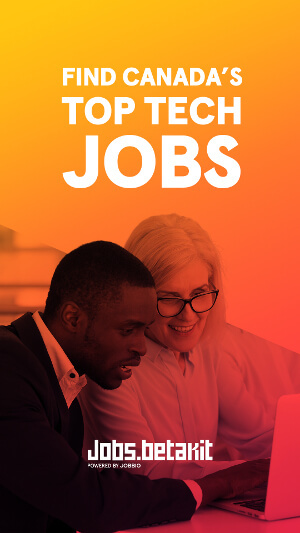 True Ventures, which has also invested in companies like FitBit, said that it has thought deeply about which types of work is best suited for machines. Commercial cleaning equipment is a giant market, worth an estimated $5 billion in global sales annually, according to Forbes. The report also noted that the industry is increasingly moving towards robotics. 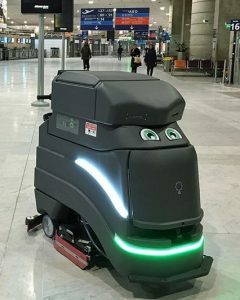 Sheikh and Molina told the publication that they believe as much as a third of all commercial cleaning equipment could be autonomous by 2023. The founders also reported Avidbots’ revenue in the last year as $3 million last year, which Sheikh told BetaKit was thanks to customers that where so happy with their first Neo and decided to purchase more. 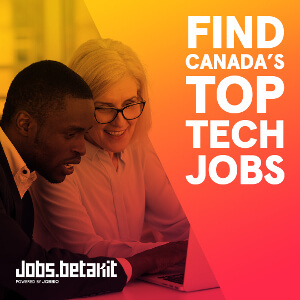 He also told BetaKit that while the company has offices in Silicon Valley, and Hong Kong and has plans to grow globally it plans to keep its R&D and product manufacturing in Kitchener for the foreseeable future.